I try to add a little something new to my Christmas decorations each year. Being that my colors of choice are burgundy and gold, decorations to purchase have become hard to find over the past few years. 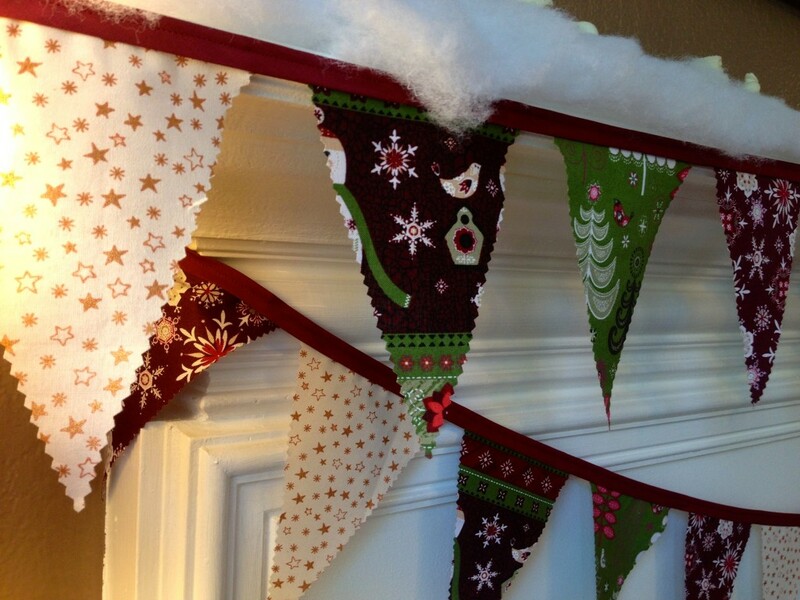 I’ve been looking for an excuse to make up some bunting for a few months, and Christmas decorating seemed the perfect reason! Beginning with one end of the bias tape and working down the length of the tape, sew closed enough of the tape to give you a nice length with which to tie up your bunting. 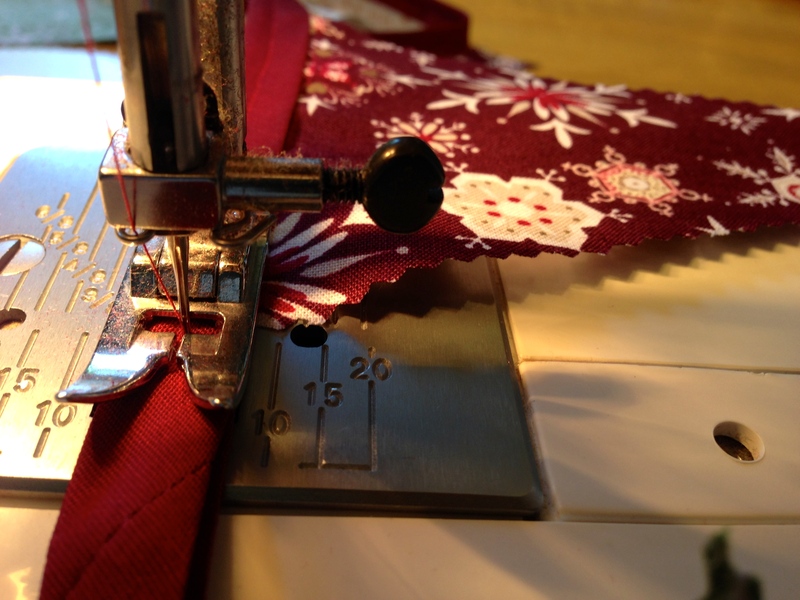 Without lifting the sewing machine needle, slide the base of a triangle into the center fold of the bias tape so that the base is sandwiched between the two edge folds of the tape. 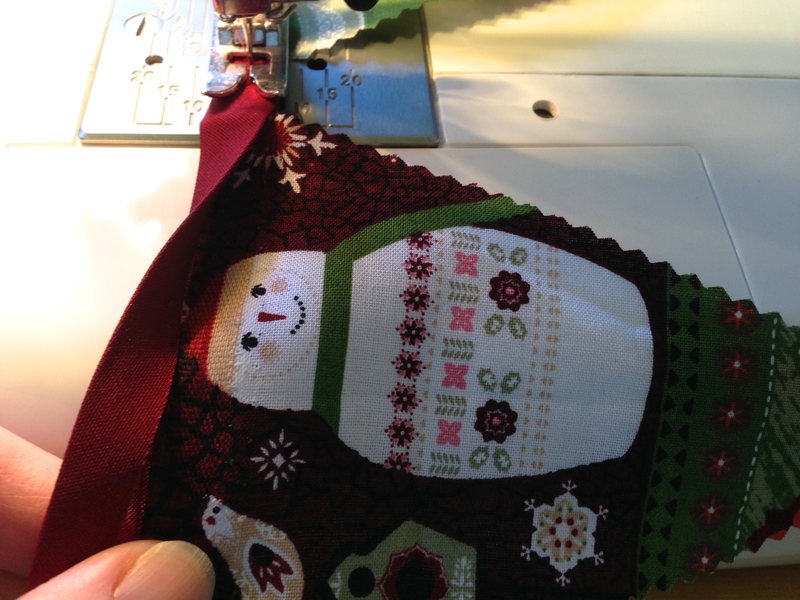 Continue sewing across the tape and triangle. 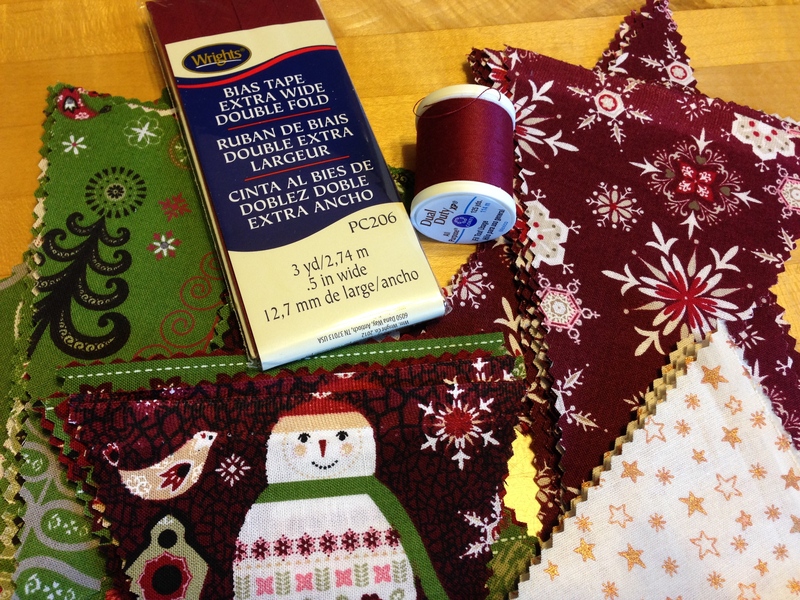 Sew a few centimeters past the edge of your triangle before adding the next one. In my openion, less is more. They will look further apart when hung than they do on the sewing machine. Once you reach your desired length, be sure to sew closed enough tape on the end for your second tie. 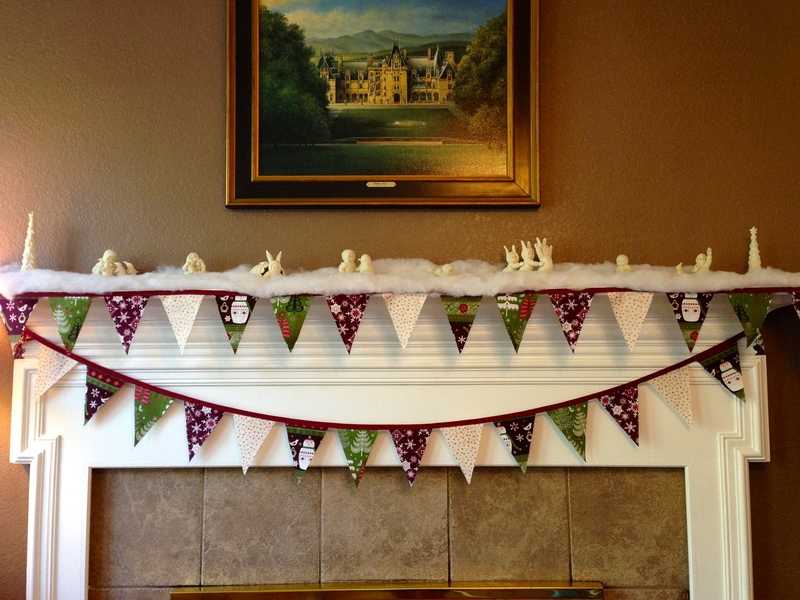 I ended up hanging my bunting from my mantle. Lacking a suitable place to tie up the ends, I used adhesive putty to hang it. It has worked wonderfully!